Our company is a well-known Manufacturer, Exporter and Supplier of Corrugation Gum Powder from Gujarat, India. Available in the finest form, Corrugation Gum Powder is a white colored dry powder. 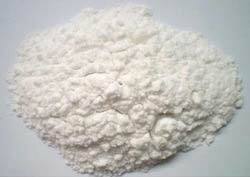 We process this gum powder from supreme quality of starch procured from the trusted vendors. Corrugation Gum Powder is widely used in packaging industry for corrugated boxes as it improves bursting strength and puncture resistance of the box. We pack Corrugation Gum Powder with utmost care to preserve its efficacy for long. It is inexpensive to afford.